Hello all, I’m Hannah and I fell pregnant at 17, had my 12-week scan during my January exams and completed my A level exams at 36 weeks pregnant, giving birth to my wonderful son 3 weeks later. I am now 21, in the middle of my 3rd year figuring out how to write a dissertation and cope with the challenges of an independent 3-year-old! I had some significant trouble persuading other people that despite being a mum I still had the potential to do whatever I wanted to do. 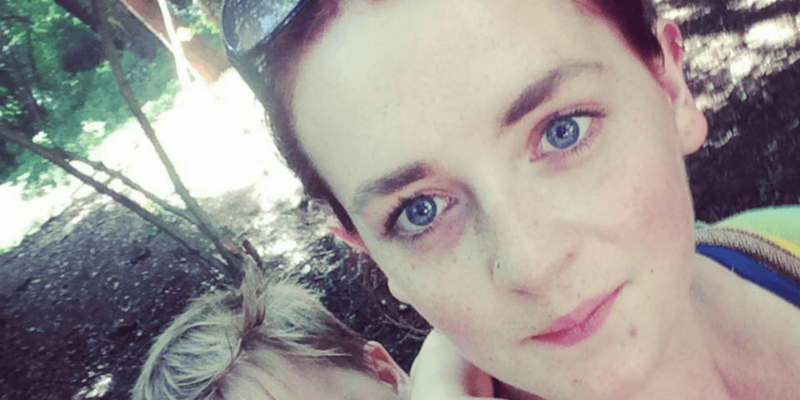 All I had ever wanted to do was to get a degree and write, which is why I set up a personal blog TheUniversityMum.org to help me write about the difficulties of being a young mum and going to university. There is no reason why a parent who really wants to continue their higher education can’t do so, as long as you have the right support. I found that (due to the incredibly low expectations society has of young mothers) there was very little knowledge and communication between universities, benefit offices and the local authority. So that’s why I wrote these 15 steps, to try and bridge some of these gaps, and to also let others know what it’s actually like being a student who goes home to a toddler at the end of lectures, instead of the union bar! This is perhaps the first step you have to overcome before starting the application. Having the confidence and conviction that you are making the right choice for you and your child is the first hurdle. The idea of going to university can be overwhelming for anyone, let alone anyone with extra responsibilities, but it’s comforting to know that with the right knowledge and support it is possible to be both a dedicated student and an excellent parent. 2. Contact local colleges for advice with UCAS and your personal statement. Even though you’re no longer at college, getting in touch with your old tutors and support staff is a great way of gaining some professional advice for completing your UCAS application, as the form can often be lengthy and complicated. But don’t let this put you off — there are many online forums with step-by-step advice for creating the best personal statement. It’s also good to try and use your status as a parent to your advantage. What skills does having a baby prepare you for? Apart from changing nappies and sleepless nights, you may also find that by simply being a parent you have gained skills in organisation, prioritisation and flexibility — these are definitely worth noting. This is crucial in your preparation — choosing a course on a whim may mean that you end up doing something that really doesn’t interest you. Some sciences may require lab hours on top of your seminars and lectures and courses such as medicine and law require extra contact hours for practical activities. It is important to find a course that works around your childcare, and one that you love. Open days are a great way to get a feel for your university. As well as getting to know the tutors, pastoral care and financial assistants within the university, you can explore all your options, get a feel for the campus, as well as the potential commute. Some universities have a nursery onsite for the children of students — it’s worth going along to one of their open days to explore your options. If you claim any benefits such as Income Support, it’s a good idea to inform the appropriate authorities well in advance once you’ve got a conditional or unconditional offer. This should avoid any overlap between student finance and Income Support. If you’re renting your house or flat through a landlord (renting privately), students are eligible for Housing Benefit and exemption from Council Tax. Online calculators have no option for students but as a lone parent student you can claim housing benefit and Council Tax exemption. This is a great help and lifts the financial weight off your shoulders somewhat. If you’re claiming with your partner (joint claimants) you will be assessed on your partner’s income. Make sure you have completed your student finance application well in advance, you may also be eligible for a Parents Learning allowance and a Childcare Grant, which can cover up to 85% of your childcare costs. The form has to be completed by the May before your course starts in September but it’s a good idea to get things sorted and complete the application well before then. Some universities offer grants for students from low income backgrounds. This may take the form of a cash sum or a deduction from your tuition fee. The university will also offer scholarships for those people from certain low progression neighborhoods and extra support for students with disabilities. A degree is not an easy qualification and the work will be a step up from any of your previous courses, so being prepared is the best way to make the most of your time at uni. Don’t be put off by any initial low marks as it’s often relearning how to learn that’s the hardest thing. Use your time while baby is asleep wisely. Efficiency is key so that you don’t end up sacrificing sleep for studying! Use commuting time wisely. If you’re spending lots of time on the bus/train, then these moments are great for catching some quiet time. And remember, the slow-cooker is your friend! 10. Find the right nursery for you; near the university or near home? While you’re at university, someone will need to look after your baby/child and the difficult decision to make is, who will look after them while you are busy? It’s crucial to find the right nursery or other childcare for you, and one that suits your parenting style and ethos. Universities often have nurseries on campus for the students, but it’s difficult to decide whether or not to commute with your child or if a nursery closer to home is a better option. Don’t be afraid to ask for help from friends/family if you’re struggling, and open up a dialogue with the Pastoral Care team as you can arrange for extensions as and when you need them. It’s also key to take time for self care so in-between lectures grabbing a coffee and some chill time will do you the world of good! Go to the park, visit a play gym, get all the toys out, do some baking or just watch endless amounts of CBeebies. The amount of uni work is manageable and if you’re good it will all be done come Friday evening, leaving the weekend for love bombing and reconnecting with your child. Ask about a mature student lounge or a private room in the library if you want to breastfeed or pump at university. It can also be used as a potential talking point and opportunity for education! A university-based support system is a perfect way to socialise and make friends with other people going through the exact same thing as you, so check whether your union has a parents society. If your uni doesn’t have one then why not start one yourself! It’s a great way to get involved with the students union. For the majority of students going to university is a lot more than just the seminars, lectures and hours in the library, it’s also about the freedom and independence from your parents, a time for developing skills, getting a part time job, and possibly for drinking, socialising and getting involved with the huge variety of societies that are on offer. I found this one of the hardest parts of university — knowing that I wasn’t going to be having the same experience as many students do. I find that it’s best to view university as a full time job. With enough notice, babysitters can be put in place for the odd night out with course mates and societies. Read more about Hannah and her university journey at her blog, TheUniversityMum.org.